Whether you’ve chosen to focus on lawn care for suburban homes or groundskeeping tasks for a local college, it takes a lot of dedication to build a business and create a name for yourself as a landscaper. You need to book clients, do the work, and keep those clients happy, with a wide range of tasks from trimming hedges to cutting lawns, planting flowers and more. Your business is an investment, and like any good investment, you want to see it flourish. To help you achieve your potential, you need to know your business is covered, even if something you don’t anticipate happens. That’s where professional business insurance for landscapers comes in. Landscaping liability insurance is one less thing for you to worry about, which should give you the freedom to focus on growing your business. With insurance for landscaping businesses from Next Insurance, you get all you need from a landscaper insurance policy, tailored to your precise needs, with no extras, ever. That means landscaping insurance costs that fit into your budget, with the right coverage for exactly what you do. Plus, you can buy your policy 100% online, and manage it online, anytime. We’ve worked hard to make buying and owning your landscaping general liability insurance simple, affordable, and great for business. Why Do I Need Insurance for Landscaping? Landscaping insurance is an essential element in helping your business grow as fast as the perennials you planted for a customer last summer. While you’re certainly an expert at creating beautiful, functional outdoor spaces, managing gardeners, consulting with contractors and more, you also need someone to look out for you, and your business’ interests. 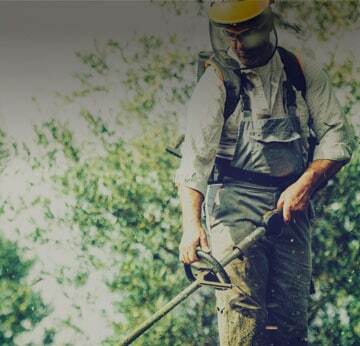 Liability insurance for landscapers is what can serve as the security you need. Overall, landscaper liability insurance can help keep you (and your workers) protected if you’re sued for accidents, property damage or even potential slander. In a perfect world, perhaps there’d be no mistakes. But knowing what’s out there, it’s important to keep yourself covered, with good liability insurance in place. Beyond that, landscaper liability insurance proves to potential employers that you’re a serious professional. In fact, you may find that more and more customers are requesting to see your certificate of insurance before hiring you for a job. Why Is Next Insurance Right for My Landscaping Business Insurance? As a busy professional, you have plenty to do each day, without worrying about finding the right landscapers insurance program. That’s why we’ve made landscaping insurance easy and accessible. With Next Insurance, you can choose the landscape insurance plan that’s right for you, starting at just $29 a month. Plus, the entire process is exceptionally convenient, and 100% online. That means you can choose your landscaping insurance quote simply and easily, anytime you want. You can even add an additional insured or get as many certificates of insurance as you need, instantly, online, and absolutely free. Low deductibles and flexible payment terms allow you to pay the same landscaping company insurance premiums either on a monthly or annual basis. That helps keep your liability insurance for a landscaping business extra affordable. Fast, fair, and with no hidden fees, our insurance for landscaping businesses gets solid reviews from other landscaping pros like you – who want to buy good insurance, and then get on with their actual business. Is Liability Insurance for Landscaping Right for Me? What About My Other Work? Lots of our customers do more than one activity. You might find yourself doing classic landscaping work one day, fixing a light fixture the next, and helping a customer hang a picture the following day. In that case, business insurance for landscapers isn’t quite what you need. If you do several different activities, we recommend filling out our general contractor insurance application. Make sure to check off all the services you provide, so we can provide the coverage you need. Just keep in mind, if a certain type of work isn’t listed on the application, we don’t offer coverage for it at this time. Make sure you have the landscaping insurance you need, so that your business can grow the same way your customers' lawns do. You can buy your policy online, quickly and easily, and get back to business knowing you're covered. It's so simple, most of our customers get a quote for insurance for landscaping in around eight minutes. "Incredibly shocked to find out that I was paying less money for more coverage than my previous insurance company...would recommend them to any and all contractors"
"Super easy to get and very fast. They offered everything that all the other companies did but for half the price."